In a previous post, we learned about how to solve a system of linear equations. In this post, we will learn how to solve a system of nonlinear equations. A system of nonlinear equations is a system in which one or more variables has an order greater than 1, and/or there is a product of variables in one of the equations. 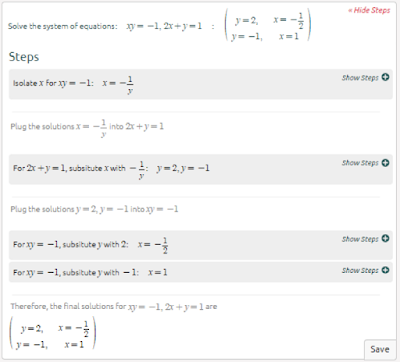 There are two ways to solve systems of nonlinear equations, substitution and elimination. It is a lot easier to visualize these two methods than to just read about them. I will go through two examples step by step, one for each method. 1. We don’t need to multiply by a constant because x^2 already has the same constant of 1 in both equations. 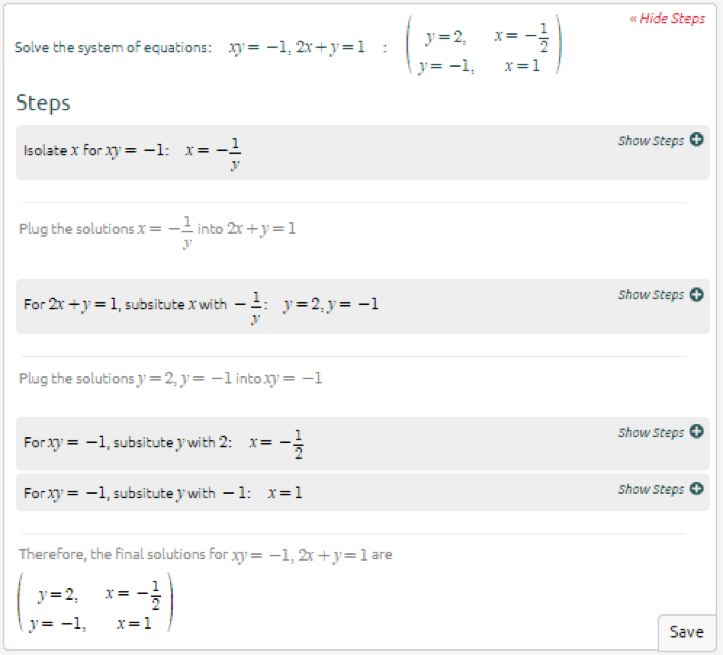 You have to do a lot of algebraic manipulation when solving systems of equations, especially with nonlinear equations. Practice an array of different types of systems of nonlinear equations to become very familiar with solving these problems. To minimize, you can use a generalized algorithm that matches the matrix. Such a way of solving a multidimensional problem will be further described as a multidimensional generalized global search algorithm. In this method, the solution of a one-dimensional problem with the help of it generates a sequence of test points in the interval [0.1]. Here are some other thesis titles for Maths in dissertationwriter article examples. Here is a solution for you https://homeworkhelper.net/blog/how-to-focus-on-homework if you can't concentrate on your homework.